Here’s a brief tour video of our new listing. Plus a short bit about Anderson. Tastefully remodeled interior on this 4 bedroom ranch style home on more than a third of an acre near Anderson. Indoor laundry, big livingroom, attached shop, covered patio. Corner lot, quiet street. 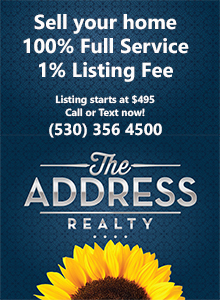 Call (530) 244 7603 to schedule a showing. This entry was posted in Anderson, New Listing and tagged Anderson, New Listing on August 12, 2012 by Skip@RHB.